Here is a super weird thing about humans: they don’t know how to go to sleep by themselves when they are born. It’s a skill they actually have to develop. One way to keep them from developing it quickly is by helping them go to sleep all the time. That’s what my wife and I did. It’s the biggest mistake we’ve made as parents (so far). We did anything we could to get our baby to sleep — rock him, walk him in his carrier, nurse him. Whenever I finally got him asleep I would count to 200 before putting him into his crib, to make sure he was totally zonked out. The goal was be able to put him down and know he was down for at least a couple hours. This worked at the time, but it also never let him learn how to lay down in a crib and sleep. 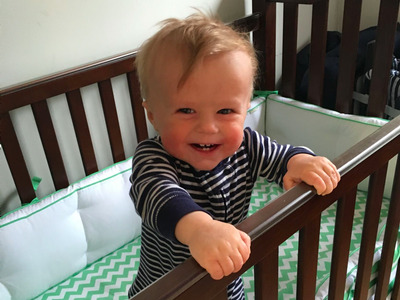 There are a lot of variations of sleep training out there: but ultimately, what it really means is leaving your kid in the crib to let him or her cry for a while till he or she falls asleep. We didn’t want to do this because we hated to hear our baby cry. We paid for this later — in the short term and the medium term. 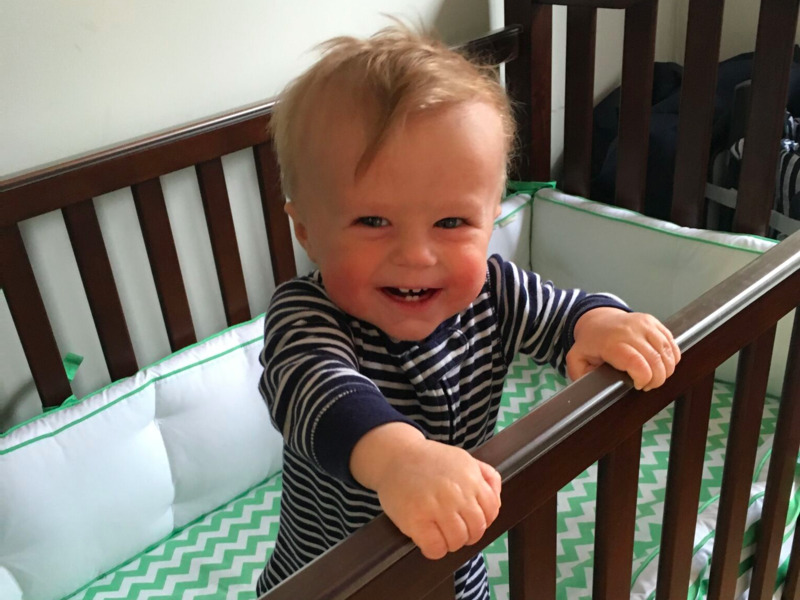 In the short term, our baby would sometimes wake up in a crib he didn’t remember going into, and freak out. This meant we had to go through the whole put down routine again. In the medium term, helping our baby get to sleep meant he didn’t have to learn to do it himself. Every night, our baby would get tired and cranky. Instead of being able to do something about himself by falling asleep, he needed us to manipulate him into it. 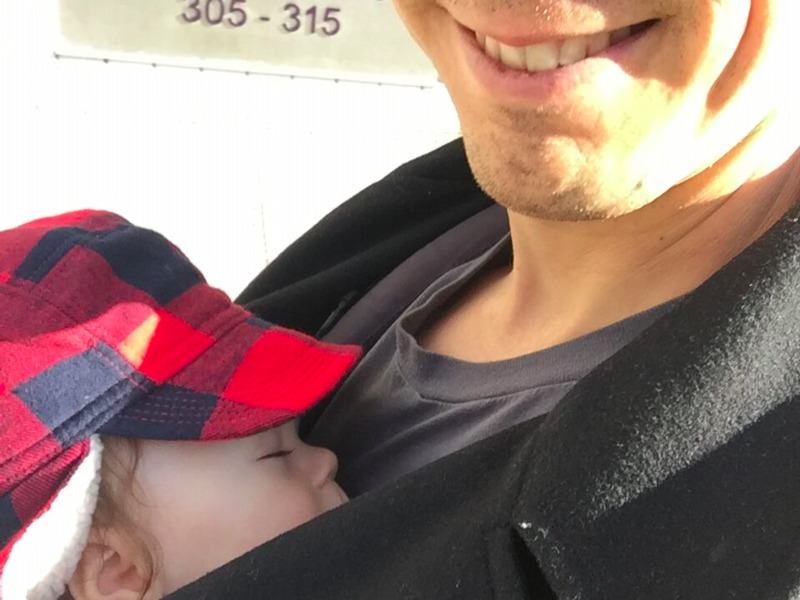 For months last fall, the best way to find me in the evenings was to go outside in my neighbourhood and wait for me to walk by with a baby in a carrier. You could mark the time by it. My wife and I were so opposed to any kind of sleep training that we probably would have continued manipulating him to sleep indefinitely. Eventually, though, our baby forced the issue. One by one, all our tricks stopped working. First bouncing him to sleep stopped working. Then rocking him in the rocking chair didn’t do it. Then he stopped zonking out in the stroller. 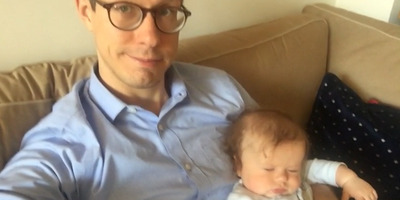 Nursing him to sleep was always a final resort — until it stopped working. Even walking him around the block in a baby carrier failed. Every night, I was walking around with a hysterically crying baby strapped to my chest — for hours at a time. The situation was ugly. He was hardly ever going to bed before 10:30 — and always waking up several times a night and for good by six in the morning. It wasn’t enough sleep for a baby (not to mention a Mum), and he started getting sick and cranky all the time. Finally, we did “gentle” sleep training with our baby. We didn’t want to. It was hard. The first night, I sent my wife out to eat at a restaurant while I sat next to the baby’s crib as he tried to go to sleep. I was only allowed to pick him up till he was calm and and then put him down again. I was only allowed to tell him, “I love you but it’s time to go to sleep.” He cried and cried. I hated it. But eventually he went to sleep. And over the next few days, he cried less every night. A few months later, he usually doesn’t cry at all. And he sleeps through the night. I don’t know if what we did was right for every family. I know how militantly opposed to sleep training some people are. Some of you reading this think I did something horrible to my child. I don’t care. It was, I believe, our first act of parenting. Until then, our baby had only wanted what he needed. At that point, we had to prevent him from having something he wanted (to stay up) to give him something he actually needed (sleep).